Para la versión en Español ver abajo. I returned last week to the Bay Area after participating in an event in Buenos Aires organized by Banco Ciudad and the IAE Business School. 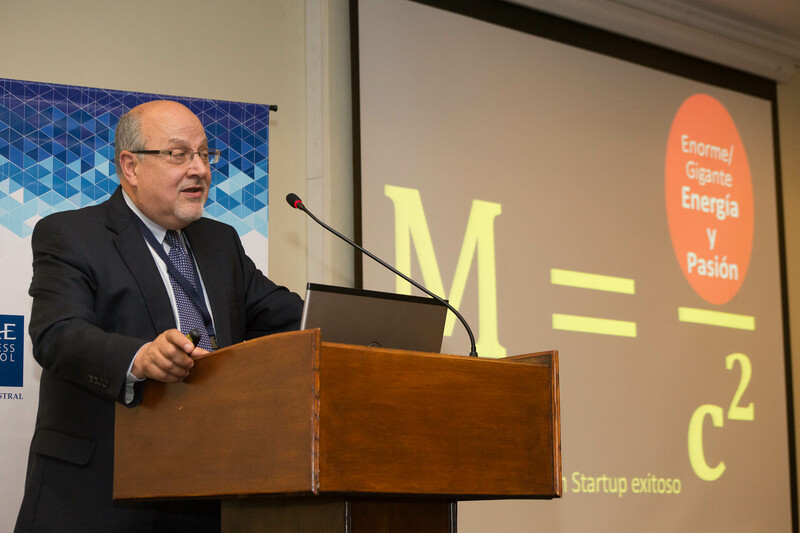 The theme of the event was “Innovation and the entrepreneurial spirit: Developing an engine for economic development, entrepreneurship and citizenship in Latin America”. Which such ambitious goal, the event was held last July 8th. This posting is a summary of my notes resulting from the interview the day before the most listened radio talk show in Buenos Aires (Lanata) conducted the prior day to the event. Throughout the world, government leaders, businesses, educators, entrepreneurs, thought leaders, non-governmental organizations (NGOs), and other members of civil society — including young and so not young people — are attempting to co-create environments where human flourishing prosper. In this enterprise, they seek not only economic development, but seek to strengthen of all aspects of human society in particular its creativity and ability to change for the benefit of all its citizens. I have observed this nascent trend most acutely in Silicon Valley and the broader San Francisco Bay Area, where visitors from the four corners of the globe come to visit, explore, learn, and share experiences. These are the proverbial techno–tourists, whom I have also dubbed the twenty–first century alchemists. The alchemists seek clear and simple formulas that allow them to replicate Silicon Valley on their respective continents, in disparate cities and regions including forgotten corners of the world. These alchemists, as you will recall, like to turn sand (silicon) into gold (wealth). The reality is that Silicon Valley would not be able to re-create itself today even if it wanted to, because its development has not followed a single formula or prescription. As a result, the master blueprint for Silicon Valley that everyone seems to be chasing doesn’t exist. The lingering assumption that such a formula exists (with accompanying easy and fast solutions for its implementation) has given way to economic policies that sometimes have had the opposite effect inhibiting its economic progress as well as in some extreme cases to abort the gestation of entrepreneurial ecosystems. Economic growth is necessary to create successful Startup environments. Not the opposite as it is often believed! In other words, you need to be already successful to aspire to become a stronger ecosystem. Some countries and regions mistakenly associate economic growth and development with an ascendance of a Startup culture. Entrepreneurial ecosystems to become self-sustaining must benefit many disparate actors of civil society, including:Government benefits as a result of an increase in employment and tax base. Entrepreneurs benefit from the successes of their innovations. Investors benefit from the investment returns. Businesses benefit from innovations, new products, new talent, and improvements in the value chains, etc. Universities benefit because of greater knowledge and increased donations. Civil society benefits because of quality jobs created and higher employment. Some of the new wealth created spills over to foundations and NGOs, benefitting the arts and other cultural activities, as well as social welfare projects. Co-working spaces, leveraged funds for angels and venture capitalists (VCs), incubators, accelerators, development programs in innovation and technology, etc., are all part of the solution and facilitate the development of the ecosystem. But these “fads” do not constitute the secret formula the alchemists are chasing. Recognition of the distinction between subsidies and incentives. Subsidies are harmful and undermine entrepreneurial environments, while incentives are temporary tools that can remedy economic/social situation while stimulating new patterns of behavior. Entrepreneurship is essentially a Darwinian activity. As a result we need to liberate entrepreneurship from all forms of benevolent paternalism. Because of this dynamic, death is an integral component of an entrepreneurial ecosystem, and the lessons emanating from these deaths benefit broadly the flora and fauna of the entrepreneurial community, which comprise other entrepreneurs, investors, stakeholders, etc. Another important corollary of the Darwinian principle is that greater diversity in the ecosystem strengthens the quality of the ecosystem population. Diversity in thinking, perspectives, and problem-solving approaches, strengthen the entrepreneurial ecosystems and the quality of its inhabitants. Entrepreneurship is and should remain an inherently challenging human endeavor. Going to extremes seeking to minimize these adversities with government or other agencies subsidies, will prove to be counter-productive and harmful. A competent entrepreneur proactively jumps bureaucratic hurdles, understands that entrepreneurship requires great effort and sacrifices, and is steadfastly aware that the probability of his failure is greater than the probability of his success. He also knows that finding talent is difficult, finding the first client more, and financing his Start­up in its embryonic stages is even more difficult still. Investment bankers, venture capitalists (VCs), and angel investors. La catalytic support infrastructure for innovation and entrepreneurship: non-governmental organizations (NGOs), foundations, consultants, and other participants. They could become partners of Startups (open innovation platforms/corporate incubators/accelerators, etc. ), distributors, integrators, technology partners, etc. They could become clients of Startups. Their executives, with the right talent, can be good mentors/advisors to Startups. Focusing on strategic areas to leverage existing knowledge, competencies, and other local prevailing skills will facilitate ecosystem development. Furthermore, if the ecosystem optimizes the creation of products/services that meet the demands of global markets, the startups produced by this ecosystem will grow in both quality and quantity. Dream big, dream on an international scale with big global markets, and remember that the difficult things take great effort and sacrifice, and the impossible ones only take a little bit more additional effort. One must be impatiently patient, because the development of a successful company takes 10/15 years, and the development of a successful entrepreneurial ecosystem takes even longer. Successful ecosystems foster innovation and entrepreneurship create multiple economic and social benefits in their communities and generating positive spillover effects that impact broadly society. Successful ecosystems create role models of success and generate new conversations driven by a positive attitude and the ethos that anything is possible. Public, private, family owned, etc. Como se Construye un Ecosistema Emprendedor? 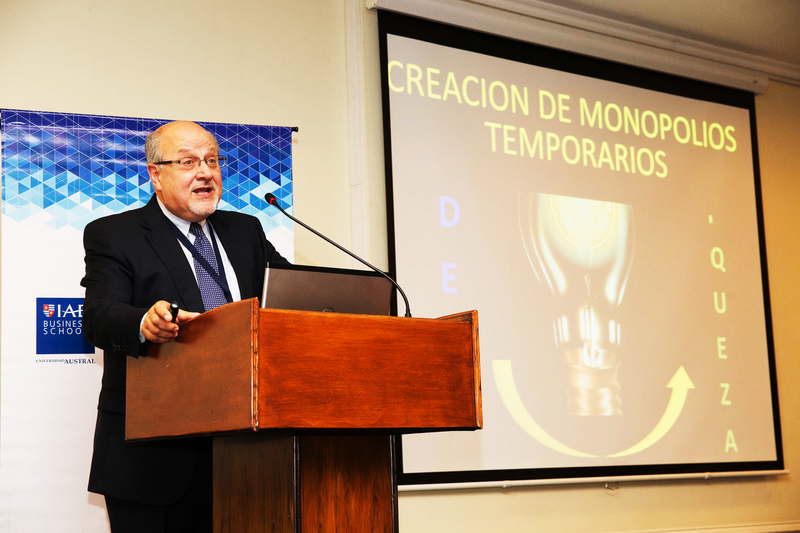 Reflexionando sobre el evento que acabo de participar en Buenos Aires, organizado por el Banco Ciudad y la Escuela de Negocios del IAE, sobre el tema “El espíritu emprendedor y la innovación: motor de desarrollo económico, emprendedor y ciudadano en LATAM“, llevado a cabo el 8 de Julio pasado en Buenos Aires. Este posting es el resumen de mi entrevista con Lanata el lunes 7 de julio para su programa por Radio Mitre en Buenos Aires. La construcción de un ecosistema emprendedor, esfuerzo amplio y mancomunado de la sociedad civil, líderes de gobierno, empresas, educadores, emprendedores, líderes de pensamiento, ONG’s, etc., a quienes les interesa crear un ambiente donde los jóvenes (y no tan jóvenes) puedan co-crear un ambiente donde prospere el desarrollo humano. En otras palabras no busca solamente el desarrollo económico, sino que también potencia todos los aspectos del comportamiento humano. Observo semanalmente a los visitantes que llegan de los cuatro rincones del planeta a visitarme en mi oficina en Sausalito y explorar el Silicon Valley/El Área de la Bahía de San Francisco. Ellos son tecno-turistas, a los que yo los llamo: “los alquimistas del siglo XXI”. Ellos buscan fórmulas fáciles y precisas, que les permitan replicar Silicon Valley en países/regiones, en su deseo iluso de transformar la arena (Silicio) en oro (riqueza). La realidad es que Silicon Valley NO podría re-crearse hoy a sí mismo, aunque si quisiera, dado a que su desarrollo NO siguió una formula prescripta. Por lo tanto NO existe un blue-print o plan maestro que haga posible su re-creación. Esto crea constante confusión y ha dado lugar a la aparición de una mitología que propone soluciones sencillas e instantáneas y veces lleva a intervenciones equivocadas que son dañinas y retrasan o incluso hacen abortar el desarrollo de un ecosistema en gestación. Los ecosistemas exitosos que potencian la Innovación & Emprendimiento crean múltiples beneficios económicos y sociales en las comunidades de interés que participen; y una variedad de derrames positivos que impactan toda la sociedad en general. Crea roles de modelos éxitosos y nuevos temas de conversación donde permea una actitud positiva y llena de mensajes “que se puede hacer y lograr”! Emprender es altamente riesgoso y por lo tanto los jóvenes son los que menos tienen que perder. Las familias pueden ser emprendedoras como así también las organizaciones a las cuales pertenecen (i.e. clubes, escuelas, iglesias, etc.) dado que ellas abrazan la innovación en sus actividades. ya sea que sean públicas, privadas, familiares, Co-operativas, etc.